Now making communication more easier than ever before! Our Core Voice Services cover all types of calls, providing a secure, always-on network with excellent call quality (that’s a promise we’ll put our money on), 24/7 technical support, and economical per-second billing. We also offer value-added services like analytics and hosted call reporting. 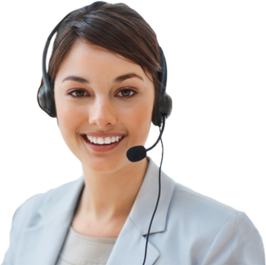 The system supports Call Management and Voicemail as well as a custom greeting feature with IVR and custom call routing. It also supports both a Fax2email and Email2fax feature and conference facilities can be scaled to as many as required. All VoIP endpoints are managed and deployed from the VpsCity network, and the helpdesk support team in the Auckland data centre. The telephony system provides interconnected phone lines and high quality calls. VpsCity provides full support services for the IP telephony systems and infrastructure. We provide robust, efficient & cost effective solutions for any small to large business. We will analyse your business and install/replace your existing phone system with a state of the art SIP-based phone system to provide the right solution at the right price. Plus every client receives FREE Cloud PBX services with every purchase of our VoIP Phone Service! Our Cloud PBX provides all of the benefits of a traditional PBX for your business, without the high hardware setup and infrastructure costs. If your business has multiple users, at one or multiple locations, VpsCity Cloud PBX can quickly deliver a feature-rich, reliable, cost-effective business phone system solution. With Cloud PBX, your business phone system is hosted in our high availability data centres in Auckland and is maintained by our expert technical staff. Visit our website or chat to one of our experts for more information.